After a short 45 minute flight from Reykjavik, we landed in Akureyri to spend a few days. Akureyri is the second largest city in Iceland (although the entire country of Iceland only has about 1/2 of the population of Seattle, WA, so by American standards it is still quite a tiny city) and it's on the north coast of the country. 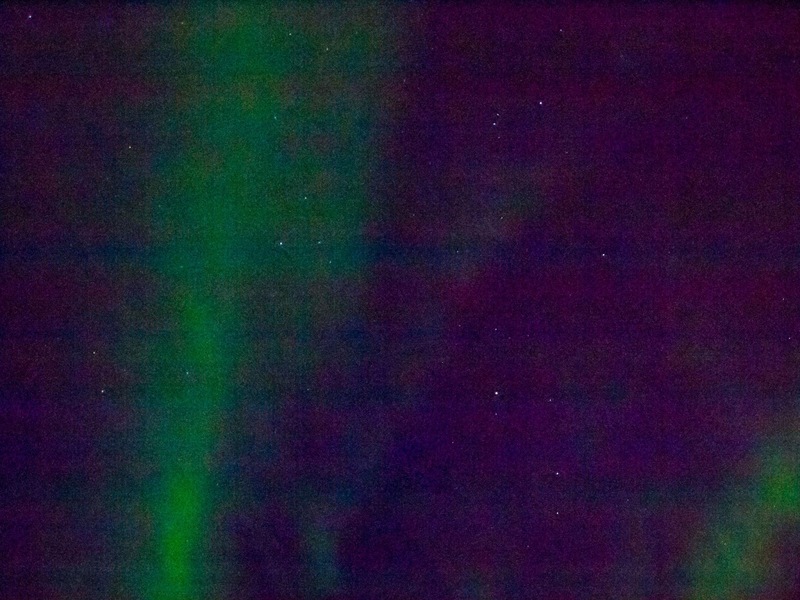 Our main goal for Akureyri was to catch a glimpse of the northern lights since it's closer to the Arctic Circle. We arrived on a Sunday, so many of the shops downtown were closed, but we look a bit of a stroll around town to take in the city. That night, we took our northern lights tour! I have been dreaming of seeing the northern lights for as long as I can remember and it was really my one huge reason for wanting to visit Iceland. We boarded a bus and were taken out a few minutes outside of town into a dark farm street. Our tour guide told us there was a storm moving in, but we were lucky enough to catch a beautiful light show! Sadly, my photos didn't turn out very well despite all my reseach and little tripod...I didn't anticpate how much more difficult it would be with the frigid cold wind. Regardless, it was a beautiful once in a lifetime experience for me and a big check off one of my top bucketlist items! The next day, the storm our guide had mentioned hit the city...and it hit hard. It was a full blown blizzard, complete with 90 mph winds! All the roads out of town and the tours were canceled, so our plans to visit the Godafoss waterfall & geothermal Lake Myvatn were out of the question. Instead, we spent a day cozied up in our hotel watching bad TV. It was a bit of a bummer, but I was just so happy that we were able to see the northern lights the night before and we still had lots of time once we got back to Reykjavik. The next day, we said goodbye to Akureyri & returned to Reykjavik for 4 more days of Icelandic adventures & a tour of the Golden Circle! Beautiful Spring Day & Cherry Blossom Nails! 52 Lists: Places I Want to Go & Spring Cleansing!